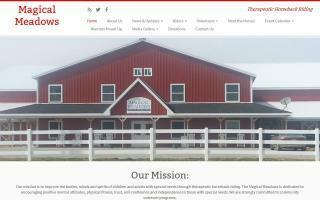 Indiana Therapeutic Riding Stables Directory - O Horse! Agape is a unique therapeutic resource for individuals, families, schools, medical and mental health professionals. Through its wealth of horse-assisted programs, Agape strives to positively impact the physical, mental, behavioral, educational, and social challenges of adults and children throughout central Indiana. Horses in Education is a fully certified educational horse therapy program. Molly Barnes is the founder and is certified by the Professional Association of Therapeutic Horsemanship (PATH). Horses in Education provides therapeutic riding that is widely recognized for the benefits derived by participants. Our Mission... is to improve the bodies, minds, and spirits of children and adults with special needs through therapeutic horseback riding. Magical Meadows is dedicated to encouraging positive mental attitudes, physical fitness, trust, self confidence, and independence in children and adults with special needs, and we are strongly committed to community outreach programs. Morning Dove Therapeutic Riding Inc. 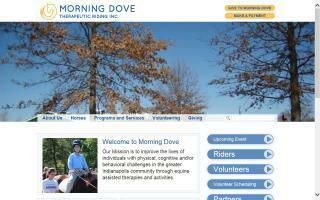 Morning Dove Therapeutic Riding Center offers full service therapy interventions for people in need. We offer hippotherapy through a partnership with St. Vincent's hospital, recreational riding for the disabled, equine assisted coaching, and educational & leadership programs for adults and youth at risk. Morning Dove is on the cutting edge of the Equine Assisted industry with our instructor training programs and innovative custom designed programs for any organization. Open Door Equine Inc. offers riding lessons in western and English as well as ground lessons in horsemanship, halter, and showmanship. We have both indoor and outdoor arenas available for year round riding, bathroom facilities, internet access, ample parking, a round pen, and trails. We are located near MtComfort Airport. People with disabilities are absolutely welcome. 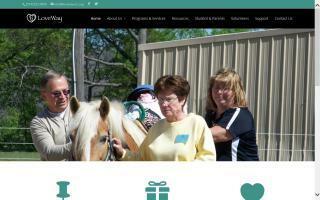 Therapeutic Riding of South Bend, Indiana - Equine-related programs for people with special needs. Simmons Physical Therapy / Cedar Knoll Farm, Inc.
Providing physical therapy for individuals in southern Indiana, using hippotherapy techniques. Licensed physical therapist. 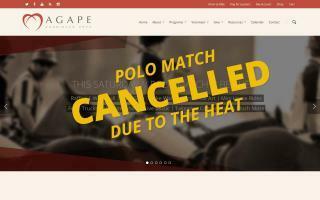 Please note: We are NOT doing recreational horseback riding at this time.